Under New Ownership as of October 18, 2017! Visit soon to see the changes being made! 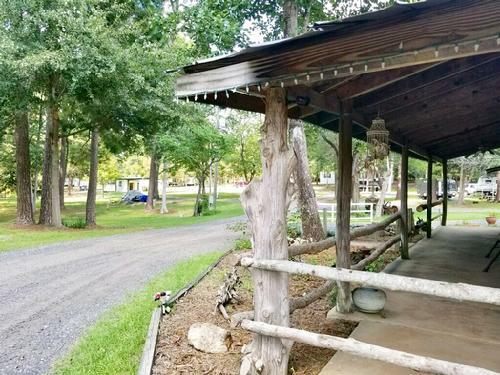 Welcome to Southern Gates RV Park & Campground! Located in Arabi ("air-ah-bee") Georgia. We offer both 30 and 50 Amp, Long, Full-Service, Pull-Thru Sites! Our campground is located 1/4 mile west of Interstate 75 at exit 92, making it very quick and easy to get here. Plus, we are tucked away from the traffic and have spacious sites in addition to mature trees which provide excellent shade. Many guests have told us it is surprisingly quiet considering how close we are to I-75. This is our home, and we are excited to have you visit. We will do our best to make sure you enjoy your stay and feel comfortable, safe, and welcomed. We take great pride in our campground and service to our guests. We would like you to know that southerngates.com is the ONLY website which we have approved. If you see any information published on another website regarding Southern Gates, please know that we do not guarantee the authenticity of what you see.